Building a model of an economically and socially sustainable business and startup incubator, capable of responding to local needs, is the challenge that some of the major national and international experts shall address during the workshop Reengineering the business incubation model, which will take place at CIHEAM Bari, from 5 to 8 February. The four-day meeting, organized within the Greece-Italy cooperation project, Incuba - Cross Border agrifood incubators, will focus on governance, financial sustainability, business model, strengthening of local and international ecosystems to create a new business incubation perspective. The international workshop Reengineering the business incubation model on 5 February (3 p.m.) will gather, among others, representatives of national and international business incubators in order to share current experiences and future prospects. The Training for business incubator manager programme will be delivered on 6-7-8 February. It will be divided into different modules, all designed to explore the day- to-day management of a successful incubator (accompanying services, networking & open innovation, fundraising) in order to assess its economic sustainability and its impact on the territory. 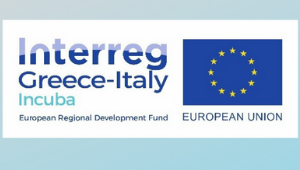 The four-day training programme is organized by the Chamber of Commerce of Bari, ARTI and CIHEAM Bari, as part of the INCUBA-Cross Border agrifood incubators project, funded under the Interreg V-A Greece-Italy Programme 2014-2020, with a total budget of EUR 900,000 and aimed at strengthening incubators of agri-food businesses to support creation, competitiveness and internationalization of start-ups and small and medium enterprises in Puglia and Greece. On the Greek side, the lead partner is the Region of Western Greece jointly with the Chamber of Commerce of Ilia. The two associated partners are the Chamber of Commerce of Achaia and Regione Puglia – Department of Agriculture, Rural Development and Environmental Protection.